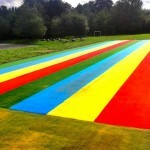 Multisport synthetic turf surfacing is commonly installed by needlepunch suppliers and contractors for athletics tracks, long jump runways and multi use games areas at schools, clubs and leisure centres. 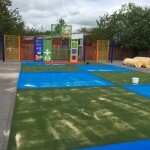 The fibre bonded synthetic grass material is popular for sports facilities at primary schools as it provides a softer and more impact absorbing landing surface for younger children who may be participating in sports such as football and athletics events. 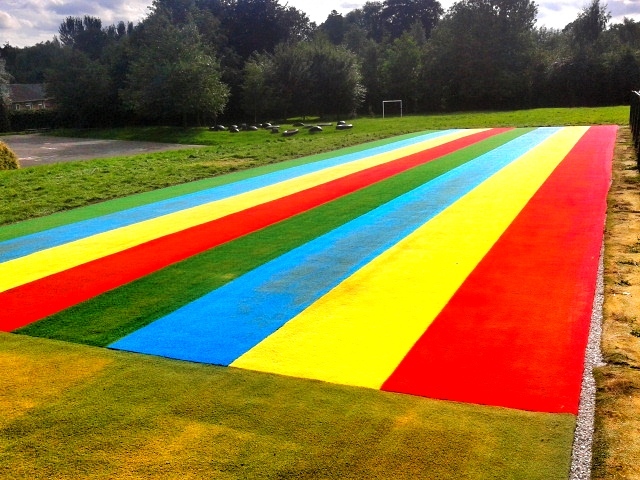 As well as the needlepunch turf being long lasting and durable, these extra safety qualities mean that it is a great all round sports surface for a range of organisations. We are specialist needlepunch suppliers and have worked on many different projects for schools and other facilities throughout the UK. 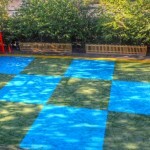 These surfaces are perfect for playing lots of different sports, and they can be installed with custom fencing and goal ends to suit your preference. 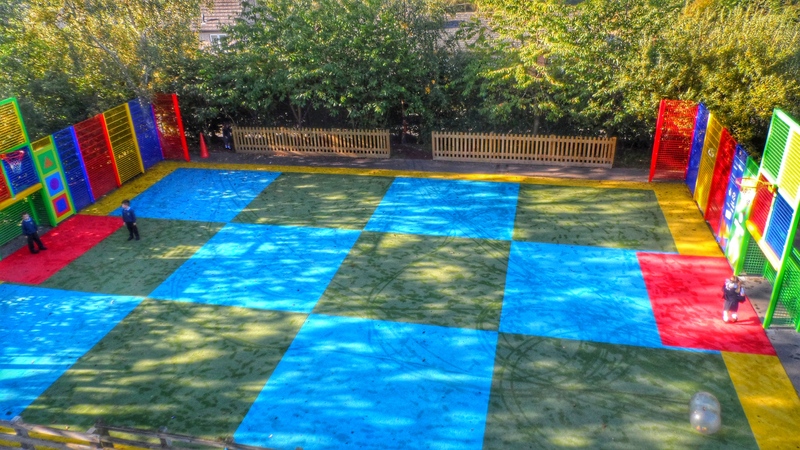 Many organisations are choosing to install artificial surfaces like the needlepunch carpet because they are a lot more durable and easy to look after than natural grass pitches. 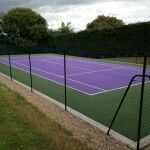 The synthetic flooring has many benefits as it is perfect for lots of different activities like football, tennis, basketball and netball, as well as any other games you want to play. We recommend that you decide on a budget for your project in advance so we can offer you a quote with a design that suits you. 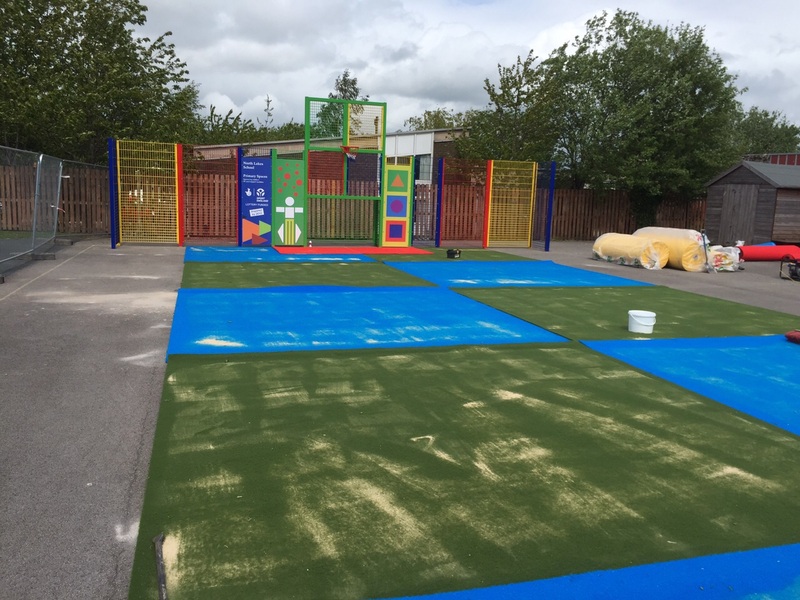 Each client is different so we can create a bespoke specification for your synthetic MUGA flooring that you will be happy with. Please use the quick contact form to enquire with us if you’d like to talk about the costs and the other services that we provide for schools and sports clubs. 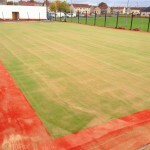 When you choose to have a new sports facility built in this fibre bonded artificial grass, it’s important to choose reliable needlepunch suppliers and installers to ensure you get the best service and a top quality end result. 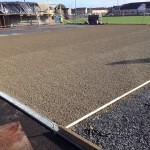 As specialist sport surfacing contractors and needlepunch suppliers, we can provide you with top of the range activity surfaces in a variety of specifications for different sports and athletics events so you can customise your project to meet your requirements. 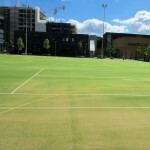 As well as full installation of needlepunch synthetic turf, we also offer maintenance advice and services to help you keep your artificial sports facility in the best condition so it performs well for a long time. 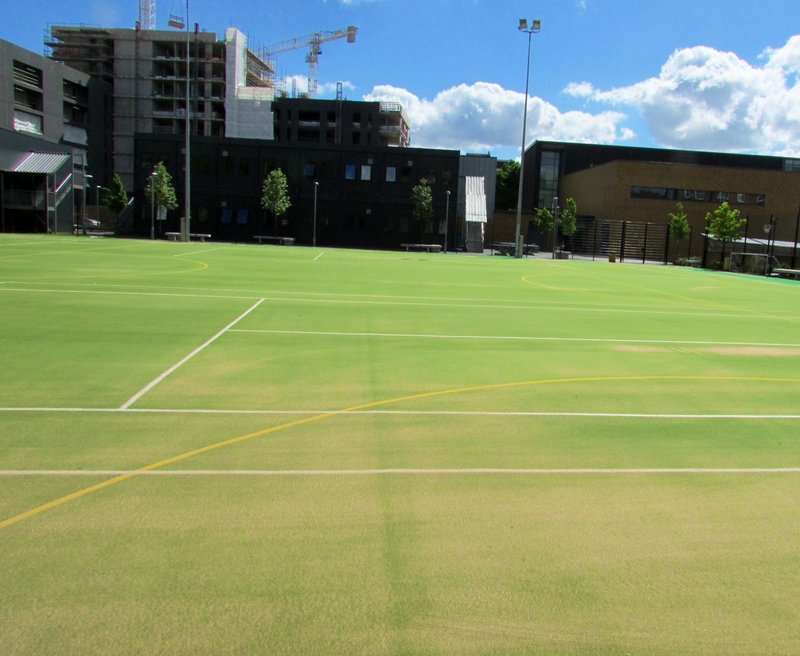 We aim to offer you the best value prices for all of our products and services to ensure you get the sports facility you want at a price which fits within your budget. 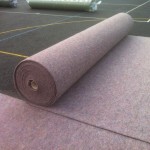 You can find more information about needlepunch fibre bonded surfacing and installation throughout the rest of our website so please take some time to familiarise yourself with the whole construction process. If you would like to submit an enquiry for a sports facility installation at your organisation, please fill in our contact form with as much detail as possible and we will get back to you with some helpful advice regarding quotes and specifications.